Managed WordPress hosting seems to be an increasingly competitive arena these days — which, from a customer’s point of view, is a great thing. There’s the ever-popular and altogether awesome WPEngine (a very well-established WordPress-specific hosting provider offering a wide range of hosting packages for a diverse spectrum of different clients), Pagely (a company targeting mainly larger, enterprise-size clients), Kinsta (very much the new-kids on the block — and again, seemingly targeting mainly enterprise-level clients), SiteGround (an excellent hosting provider with a broad menu of extremely-affordable managed WordPress plans for smaller sites) and one other I’ve had my eye on for a while now: Flywheel. As mentioned in a previously published post, Flywheel is setting themselves apart from the crowd by primarily aiming its services at designers, agencies and creatives — offering a number of exciting new services that can’t (to my knowledge) be found elsewhere. We’re talking services like free demo sites, client-billing transfer and a re-imagined sftp system specifically made to simplify the workflows of web designers and developers. 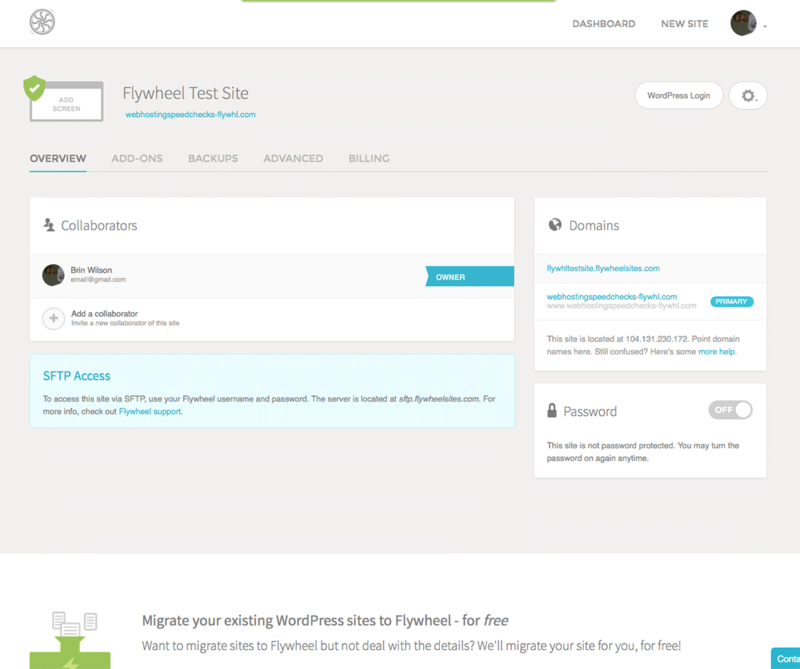 Additionally, Flywheel also serves up an incredibly easy-to-use — and absolutely stunning — hosting dashboard (here’s a screenshot), free site migrations and a whole host of other key benefits that every managed WordPress hosting service should ideally (in our opinion) be offering — including built-in CDN integration! 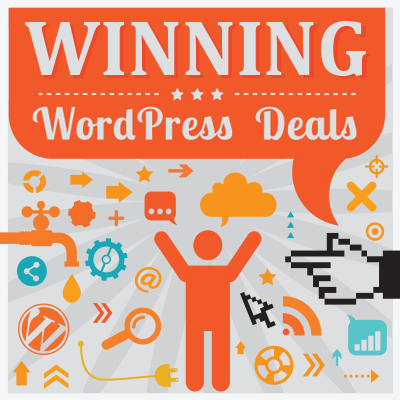 For the first year or so of its existence, WinningWP was hosted by DreamHost. We then switched to Media Temple’s then-new premium WordPress hosting back in May 2014 in order to take advantage of the numerous benefits of using a WordPress-optimized server and a fully-managed hosting setup. However, we’ve recently begun struggling with occasional poor server-response times — reportedly due to a number of system-wide performance instabilities — and the inability to whitelist certain IP addresses we need to in order to both properly integrate the site with MaxCDN and monitor uptime with Pingdom. Combining these particular issues with the temptation of checking out an extremely promising new host with whom we’ve yet to have any really meaningful experience (and more than a little spurred on by a keen interest in trying out all things new and WordPress-related) and we figured now’s about as good a time as any to give Flywheel a try. There is, of course, a lot more to choosing a hosting company than simply the speed of its servers and if you’re trying to decide between the two above-mentioned services, I cannot encourage you enough to have a really good read of what each one has to offer. There are a number of considerable differences between the two that could easily swing your decision one way or the other — however, speed is something that’s not only incredibly important but also relatively easy to both measure and compare. To get a feel for which is the faster service, let’s take a look at the speed of WinningWP on Media Temple and then compare this to the speed of exactly same site (with no changes between the two instances) hosted on Flywheel*. For the following tests, I used GTMetrix to measure the load speed of our homepage (i.e. https://winningwp.com) from various locations around the world (namely: Vancouver, Dallas, Hong Kong, London, Mumbai, Sydney and São Paulo — leaving all other settings within GTMetrix entirely as standard). I completed each of these tests for both pages ten times (detailed results below) before taking an average — final — result. What’s more, I also went the extra mile by first leaving off Flywheel’s built-in CDN integration for each of the tests (thereby comparing like for like, since Media Temple doesn’t offer CDN integration with any of its plans) before activating said CDN to see just how much difference it makes to load speeds. (Note: For reference, Media Temple’s server is located on Phoenix, Arizona, and the Flywheel server is located in New York). It’s pretty clear from my tests (see the below graph), that Flywheel comes out on top. 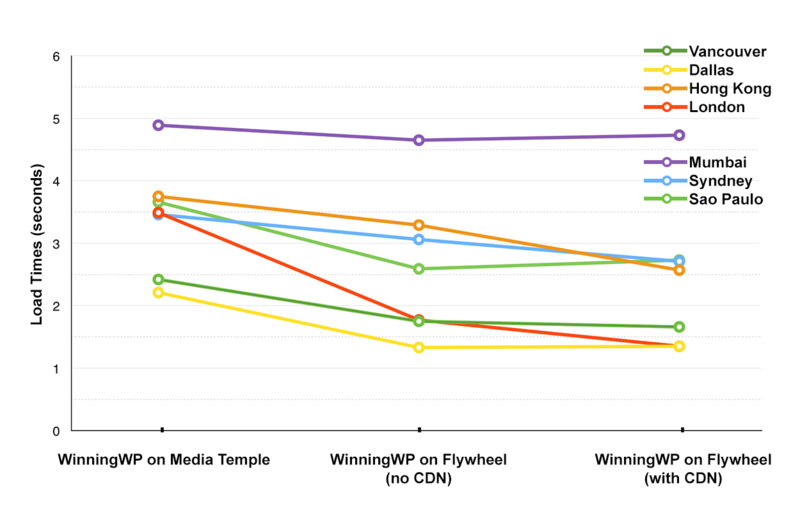 Even without the CDN enabled, WinningWP on Flywheel still out performs the same site hosted by Media Temple when testing from each of the GTMetrix testing locations. Most interesting of all, perhaps, is actually how little difference the CDN makes — although it does speed things up by a half a second or so from two or three locations (most notably from Hong Kong, London and Sydney), from two testing locations (Mumbai and Sao Paulo) the CDN actually appears to slow things down a fraction of a second! Anybody able to explain that?! In addition to using GTMetrix to measure the speed of WinningWP on both hosts, I also took the opportunity to do a little load impact testing to ensure the site would be capable of coping with the kind of traffic peaks you’d expect it to handle. I’m happy to report that Flywheel’s hosting has once again come through. If you’re not familiar with load impacting testing, the premise is to simulate the influence of a spike in visitors to the site over a short period of time, increasing the load on the server to see how it copes. Here are the results of a test in which I sent 250 virtual users to the site on Flywheel’s hosting over a 10-minute period — as shown, Flywheel’s server maintains an incredibly quick 150-200ms server response time* throughout! So far so good in this area. In response to a few quick queries we had about changing DNS settings, support has been excellent and everything has really been an unexpected breeze. Communications regarding the migration were top-notch, the dashboard a joy to navigate (a far cry from the likes of cPanel and even a number of other custom-built solutions) and there’s a substantial amount of clear, easy-to-understand documentation — thereby lessening the need to contact support in the first place. Without a doubt, Flywheel is an up-and-coming hosting company to watch — and if you’re a design agency specializing in WordPress, I’d encourage you to check out their services at your earliest convenience. I can now personally vouch for their free migration services (they were completely painless and fantastic on the whole) and according to my tests so far, their uptime has so far been nothing less than 100%. In fact, about the only place I could even attempt to fault them is in the pricing of their SSL support, which on their Tiny ($15/month) and Personal ($30/month) plans, costs an additional $10/month per site — which does seems a little on the high side (although admittedly not by a huge amount). Currently hosted by Flywheel, WinningWP now loads considerably faster than it ever had before (not just in the western hemisphere, but also worldwide) and I’m so far thoroughly enjoying the experience of checking out an up-and-coming new (to me) hosting service! If you’re interested in seeing what Flywheel has to offer for yourself, head on over to their official website for more information. *We’re on their Professional plan. **Contrast this with the same test on Media Temple (which came out at about 2000-5000ms). Any experience with either Media Temple’s or Flywheel’s managed WordPress hosting? Well I am impressed. 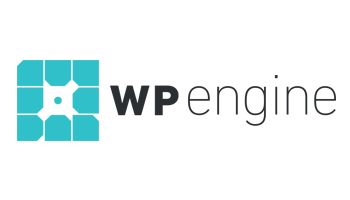 I just moved to WPEngine but will keep my eye on FlyWheel. Flywheel user here. Love their service. Great site speeds, prompt support, always friendly. Flywheel’s 1st plan $15/mo is a joke ? Well Flywheel has 10 (11?) geographically different locations for their hosting servers. If the testing site is near the Flywheel server being used (you probably chose the server location when you bought Flywheel hosting) it might be faster than through the CDN, depending on the where the CDN edge server is. Besides the location, the performance and demands on the edge server will also impact on the loading time. I have specific sites targeted at a predominantly UK audience. I chose a quality host in the centre of the country and don’t bother with a CDN. Britain is a small country compared to the US! However for sites with a worldwide audience, I do use a CDN. I know I am reviving an old post but I want to dispel the myth that a CDN is always required or would improve your site load time.